As someone who prides herself on her (insane) work ethic and productivity, it’s hard for me to write this post. Still, I believe in transparency, which I why I’m “coming clean” here. I hope you’ll hold me accountable and encourage me to finish strong. I should have been finished with the first draft of Reflections by now. According to my self-imposed timeline (which I have since revised), it should have been finished in April or May. But now it’s nearly June, and I still have about 15K more words or so to go. Normally, I would say the hardest part is finished and I should be able to plow through with no problem. Normally, everything would be just fine. But I’ve hit a wall. Looking back, I’m pretty sure the same thing happened to me with Blood and Water. I tried to pants the whole thing, then stopped cold and froze in my tracks about halfway through, when I got seriously stuck. I knew where I needed to go but had no idea how to get there. And instead of taking the time to sit down and work through the tangled mess my plot was in, I stubbornly avoided dealing with the issue. I didn’t go back to the MS for days. Even though I knew I had some serious work to do, I ignored it. That was easier. Now I’m in a similar bind with Reflections. I started off with something like an outline, and then I ditched it in favor of pantsing (again). I’m 40K into the first draft now and I have hit a massive wall. I don’t know where I’m going. I know (mostly) what needs to happen next and how the story will end, but I don’t know how to get there. And, again, instead of just sitting down and taking the time to figure out what to do, I’ve been avoided the blank page. I’ve been walking around with my fingers in my ears and humming in an effort to block out the novel’s siren song. But that ends today. I’m taking some advice I’ve gotten from some wonderful people on Twitter and rereading this post on Ava Jae’s blog and I’m whipping my plot into shape. 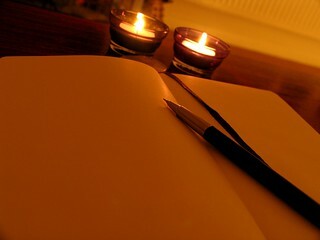 I’m going to write a synopsis from where I am now in the plot and moving forward. Then, I’m going to transfer everything to the cork board on Scrivener and hope for the best. Once I know where I’m going next, I’ll get this bad boy written. What do you do when you feel like you’ve hit a wall in your writing? I feel that! Sometimes reading can help keep you moving forward. I always get inspired when I’m reading a good book! I am going through the exact same thing right now with How To Be Someone Else. I had set a goal of finishing my first draft by June 10, and that’s not going to happen. I’ve been pretty damn stuck for a good two weeks now. I’m just trying to really not be hard on myself as it will only make it worse! You might just have to do what I did; sit down and untangle the mess. I usually get stuck when I don’t know where I’m going next, so plotting really helps.